Treasurer Curtis Pitt says the expected surplus for the 2016-17 State Budget has been revised upwards to more than $2 billion – up from the $867 million estimated in June at the time of this year’s State Budget. 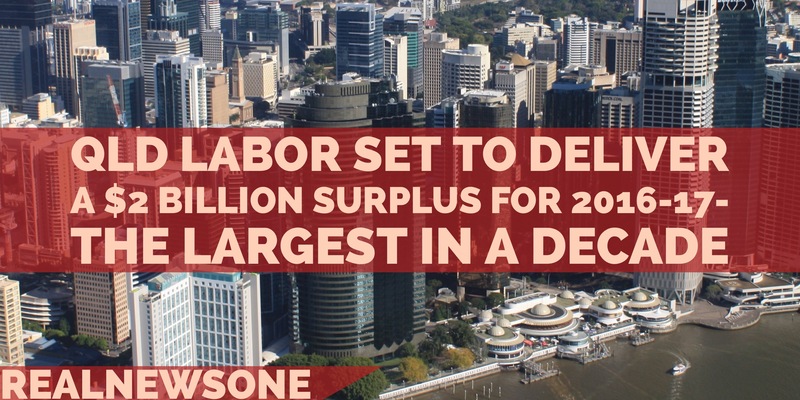 The Palaszczuk Government’s economic plan and responsible management of the state’s finances will see a continuation of the gains already made in rebuilding the state’s $300 billion economy after the Newman-Nicholls Government gutted it. Releasing the state’s improved economic positon at the 2016-17 Mid-Year Fiscal and Economic Review, Mr Pitt said the $2.026 billion surplus was the largest net operating surplus since 2005-06 and followed the recent upward revision of the 2015-16 surplus from $152 million to $970 million. “This is the Palaszczuk Government’s second consecutive net operating surplus and it highlights the strengths of Queensland’s diversified economy, and the challenges Queensland faces in the transition away from mining investment to broader based growth, particularly in regional areas,” he said. “Economic growth is expected to be strong in 2016-17, reflecting the ramp-up in LNG exports and is expected to be largely driven by growth in overseas exports and a return to positive growth in state final demand (SFD, a key measure of economic activity).